Why are advisers choosing on-platform DFMs? Save 3 times your salary before you’re 40 to retire? Andrew Morris: How important are risk ratings? What might the Chancellor do on Budget day? Does Friday the 13th really spook advisers? Do I have to set up a pension for my carer or nanny? Technology – help or a hindrance? What will justify an interest rate rise in November? What’s the gig with the 'gig economy'? Should you transfer or hang on to your pot? Are you invested in a lifestyle fund? Should you take your 25% tax-free pension lump sum? Should you ditch your final salary pension? What's the secret to building a healthy city? The ABCs of pensions: parlez-vous finance? How and why should you engage your employees? Could government intervention help drive pension engagement? FAMR two years on – is adviser support waning? Ever wondered how your future might look? Who else is topping up your retirement savings? Have you activated your Retiready account? My boyfriend owns a caravan – can he still use a lifetime Isa to buy a home? In your 40s? Are you ready for a 33 year retirement? What does Brexit mean for your workplace scheme? Will you be paying your mortgage when you turn 70? Will you end up paying the same pension tax as a millionaire? How much should I be paying into my pension? Is the pensions dashboard doomed? Will you be 75 and still working? Opting out of receiving child benefits? It could cost you! Are you investing your pension pot in cash funds? No-spend days: good for your wallet & your lifestyle? Is the nation ready for higher taxes to fund care? I want to give my kids money, but how should they use it? How will interest rate rise affect me? Passing money onto my family - what are the options? New age beauty bloggers - 70 has never looked so good! Should you be worried about the Pension Dashboard? How will Brexit affect your pension? What is a pension? Getting back to basics. How safe are your investments and savings? Will I need to sell my house to pay dad's care bills? A four-day working week? Bring it on. Investing: not difficult to get the big things right? Longer lives: cause for celebration or concern? Does size of client’s pot affect investment strategy? Does your child have a forgotten £1,000 to claim? What should government priorities be after Brexit? Are you ready for the €1 trillion workplace revolution? Do older women do double the unpaid work of men? Want to enjoy a happier life? Just keep working! Is GDP is a good measure of wellbeing? Does the UK need to save less for retirement? Can anyone retire in their 30s? Can where you live affect your financial wellbeing? Employers, are you aware of the advice allowance? High hopes for US, UK and EM equities in 2019? Financial wellbeing: does where you live affect it? What will 2019 bring for investors? Is caution always wise when it comes to investing? What will shape insurance in 2019? What does 2019 hold in store for DB pensions? What will no-deal mean for cross-border schemes? Could Artifical Intelligence sort out Brexit? Could an employee's wellbeing affect your business? Should the pension lifetime allowance be axed? Why are companies turning to virtual workplace health solutions? Business continuity and succession planning – why it shouldn’t be ignored. Business continuity and succession planning may not be high on the priority list of many businesses. But how would a business cope financially if it lost a key employee? What might the implications be if one of the business owners died or suffered a critical illness? Business protection makes sure businesses can continue to trade, and allows the owners to maintain control of their business while making sure their dependants receive a fair value for their share of it. Business continuity – is there a need? Yes, definitely. It’s well known that businesses look to protect themselves against many things, protecting their buildings, contents, stock, materials, vehicles and so on. However, the vast majority don’t look to insure their biggest asset – their key employees. would have the necessary cash flow to replace any loss of profit or repay any outstanding loans, including directors’ loans. Solutions will depend on the role of the person identified but are most likely going to involve life protection, critical illness cover and/or key person income protection. Business succession – why does it matter? Business succession planning is a key part of protecting the stability and continuity of a business. It involves transferring the ownership and control of a business – most likely through retirement – to new management. Business owners need to think about what they’d want to happen to their share of their business, if they suddenly died or became critically ill.
how and where the money would come from to make sure this happened. 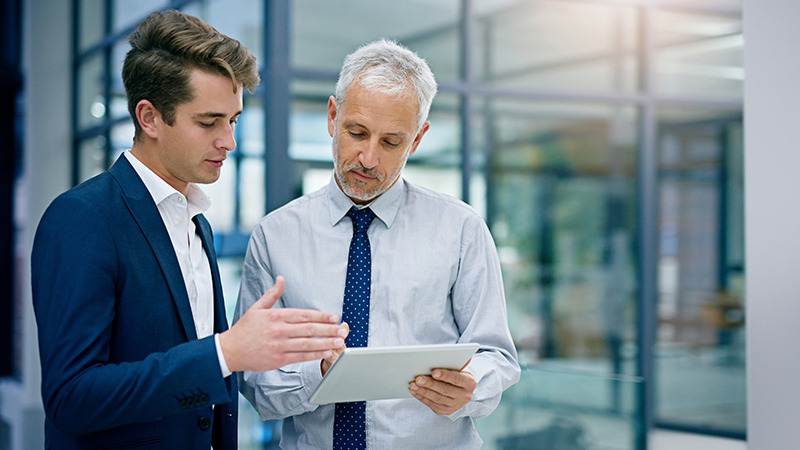 The need to have business succession plans in place is immediate and could be devastating for your client’s business if they’re not thought through properly. It’s vital business owners consider their business continuity and succession plans sooner rather than later, as the impact of doing nothing could destroy their business. We have a range of continuity and succession planning tools, available in our new online Business protection toolkit. You can use these tools with your clients to help them identify their business protection needs, so they can start putting measures in place to plan for the future well-being of their business – should the worst happen. Our new online Business protection toolkit is all about keeping things simple - giving you all the support and information you need at your fingertips to understand, discuss and write business protection. We’ve also created the Vault - your one-stop-shop for all the support material you'll need to help you in the business protection market. This includes sample material, sales aids, technical factsheets, videos and more. All are designed to help you understand the importance of, create the need for and discuss business protection with your clients. Visit our business protection toolkit for more information on business protection including access to our new guide and all our support material, or get in touch with your local Aegon sales representative. If you’re not sure who your Aegon sales representative is, email us with your name, email address, firm name and postcode, and we’ll get back to you. Aegon is not responsible for the content and accuracy of news articles licenced from other publishers. We might not share the views of the author.